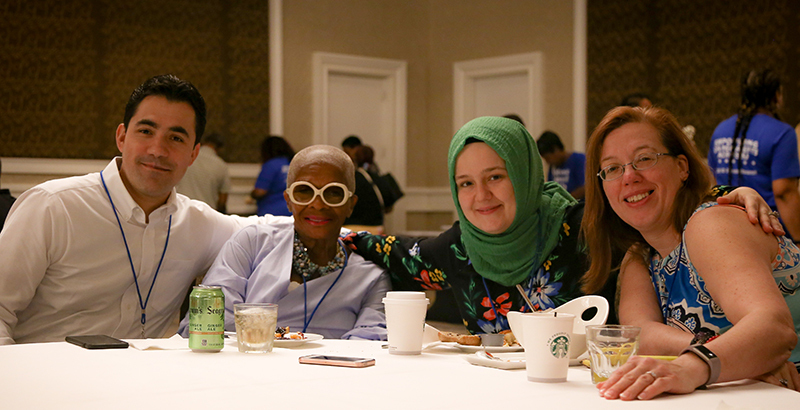 Earlier this month, during the weekend of Aug. 10, more than 200 parents and advocates gathered in Mount Laurel, New Jersey, for the third annual New Jersey Parent Summit. We came from from vastly different communities and life experiences, representing all types of public schools. This year, we were thrilled to include parent advocates and community leaders from New Orleans, Memphis, Florida, and Arizona. We each face unique challenges. But in spite of these differences, we share a common mission: to become better advocates for our children. 1. Meet parents where they are. Not everyone starts at the same place, and a parent advocate’s journey can start anywhere. Our keynote speaker, Dr. Brenda Combs, was homeless and addicted to drugs just 10 years ago. Today, she tours the country inspiring parent advocates to achieve their goals. Combs reminded us to meet parents where they are and to encourage them to follow their own path as developing advocates. 2. You need elected allies to be successful, and you need to organize elected officials like you would organize parents. Several speakers talked about the most effective way to engage elected officials. A common theme emerged: To be successful, parents need to identify issues that elected officials care about and explain to them how those issues relate to the needs of parents. By meeting each elected official where he or she is, we can build relationships around our shared interests. 3. As parents, we often think our problems are unique. But families all across the country are facing similar challenges. We heard from leaders of organizations like Memphis Lift and the Parent Advocators of New Orleans. All of them had faced challenges similar to ones I have faced as an organizer in New Jersey. We need to listen to and learn from one another in order to become better advocates, and we can’t be afraid to engage with parents from other types of schools. We all want what’s best for our kids. 4. Run for something (or join a board). There are so many elected offices that have an impact on our children’s education, and too few parents sitting in those offices. We heard from Asia Norton, a KIPP mom and newly elected school board member in Newark, who encouraged all of us to find a local office to run for, or to get involved in the campaign of another parent. If you don’t think running for office is right for you, consider joining a local board or community organization like the Urban League, Boys and Girls Club, or Kiwanis Club. These are organizations that can be a big help in your advocacy work. 5. As parent advocates, we can’t forget to take care of ourselves — and have some fun. It may seem counterintuitive, but to be effective advocates for our children, we need to make time for ourselves. We need time to focus on self-care, professional and personal development, purposeful work, and meaningful connections. These are the things that will keep us going when the work becomes too much to handle. This was a consistent theme throughout the weekend’s sessions, especially at our annual Gala and Parent Leadership Awards, and one that I deeply appreciated. I’m grateful for how much I learned at the summit and the relationships I’ve been able to build. I’m looking forward to the start of the school year and the opportunity to engage fellow parents in action. Wherever the year takes me, I know that I’ll have the backing of 200 other parents from across New Jersey — my New Jersey Parent Summit family. Tafshier Kim Cosby-Thomas is chairwoman of the Newark Collegiate Academy Parent Partnership Team, regional service team member of NEED — Newark for Educational Equity and Diversity — board vice president of the Rhashonna Cosby Civic Association, and the proud parent of a KIPP New Jersey scholar. She lives in Newark.